Here at Cinema Blend, we live our lives a quarter mile at a time. And so, while we are strapped in and ready for the upcoming drop of the Furious 7 trailer (due to hit on Saturday), we’ve also been living it up and loving the multiple teases that Team Fast & Furious have been sprinkling all over social media in preparation for this weekend’s reveal. Twitter, Facebook, Vine and Instagram have all hosted exclusive clips featuring incredible footage – in seven-second bursts – behind-the-scenes clips, and illuminating cast interviews on behalf of the upcoming Furious 7, as well as the entire Fast & Furious saga. But you don’t have time to scour the Internet. You need an adrenaline shot of Furious 7 in your virtual veins, and you need it now. We have you covered. We’ve gone over the BEST of the Furious 7 teases, and collected them into one giant feature. It’s a tribute to all things Fast & Furious, as well as a satisfying appetizer before the "main course" arrives in the form of a Furious 7 trailer. Are you ready to catch up with Vin Diesel, Paul Walker, Dwayne "The Rock" Johnson and the crew of Furious 7? Put your foot on the gas, then, and let’s go. As part of the build up to the release of the Furious 7 trailer, Universal had the cast go over some of the "Best" events in multiple categories. And while the Fast & Furious franchise has placed a special emphasis on fast-moving cars, the brutal fight sequences are a signature of this brawny series. 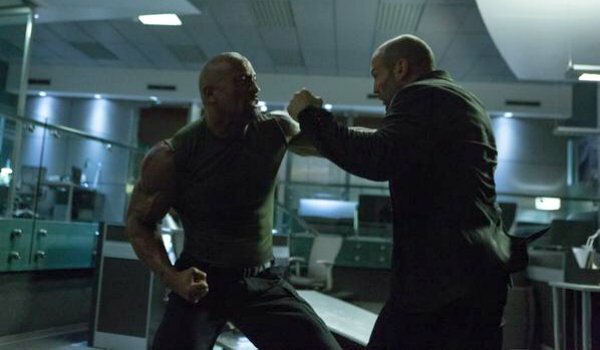 Without too much of a surprise, the knock-down, drag-out fist fight between Dom (Vin Diesel) and Hobbs (The Rock) in Fast Five is the overall No. 1 pick by the cast. "It was more than just physically exhausting," recalls Vin Diesel. "It was emotionally exhausting." Relive the awesome combat scene in the clip above, then continue further down The Road to Furious 7! We might have a new contender for the Best Fight in the Fast & Furious franchise once Furious 7 drops. Knowing that they have an incredible battle to tease, the Twitter feed for Furious 7 shared the above photo alongside the caption, "This is what you all have been waiting for." And they aren’t lying. Jason Statham joined the Fast family at the end of Fast & Furious 6, playing vengeance-seeking Ian Shaw. At some point, I’m guessing we’ll get a Statham-versus-Diesel fight, as well, but the Expendables star is going to have to go through The Rock to make it happen. We’re moving off of fights, I promise. But this Vine video gives us new Furious 7 making-of footage, while illustrating the amount of work that goes into the filming of a traditional Fast & Furious fist-fight. Because it’s Vine, it’s a quick montage. But if you leave it on a loop, you can pick out some unusual clues as to the action in store for Furious 7. Series newcomer Ronda Rousey looks like she’s going to beat the daylights out of a beautiful Michelle Rodriguez. Letty also is going to fight… some dudes in red berets? The clip showcases fights for Luda and the late Paul Walker. And then someone gets thrown through a plate-glass window. Classic Furious 7. Furious 7 director James Wan isn’t going to let Universal’s social media team have all of the fun. As part of the run-up for the Furious 7 trailer launch, Wan posted this amazing shot of the late Paul Walker in the midst of what looks like a terrifying stunt. The director likely knows that so many loyal Fast & Furious fans will be using Furious 7 as their chance to say goodbye to one of the Founding Fathers of this fantastic film franchise. 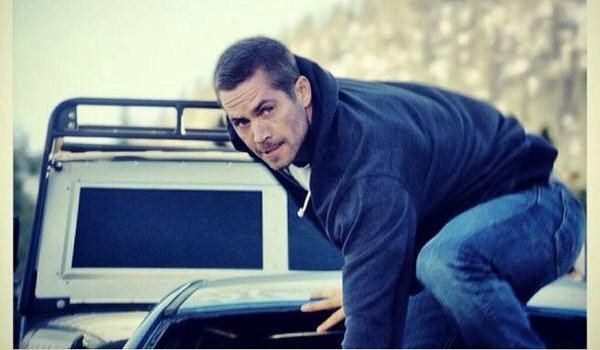 It’s a bit of a movie-making miracle that Wan and his crew were able to complete Furious 7 in the wake of Walker’s death. This image reminds us of how happy we’ll be to see him on screen in this iconic role, one last time. With all due respect to the actors in the Fast & Furious series, you could make the argument that the cars are equally important – and possibly more important – in the grand scheme of things. There’s a reason there has to be at least one lengthy car-chase scene in every Fast & Furious movie, and it’s great hearing Vin Diesel and Michelle Rodriguez talk about the cars that have meant the most to these movies… and why. As part of the social media push to build toward the Furious 7 trailer, the cast and crew have been leaking 7-second Vines that pack small glances at the upcoming sequel. This one is dedicated to the fact that "the world is our playground," highlighting the insane number of locations that Fast & Furious films have utilized over the years. But the BEST part of the above Vine has to be the fact that there’s a car… skydiving. Will Vin Diesel or Paul Walker be floating alongside of it? Can they stick the landing, and speed off? Get here now, Furious 7! The launch of this week-long tease traces back to this goosebump-inducing video – a sprint through the Fast & Furious franchise with pit stops on all of the films that had laid the foundation for Furious 7. The montage has everything Fast fans want out of this series. Cars, gorgeous actors, exquisite locations and a speaker-thumping soundtrack. "Dude, I almost had you," a boyish Paul Walker jokes in the middle of the clip. But this franchise has had us in the palm of its hand since getting back on track with Fast Five. We expect massive things out of Furious 7 when it opens on April 3, 2015. But first, that trailer. Bring it on.